Soft and feminine, these pretty chiffon appliques are truly a statement maker. 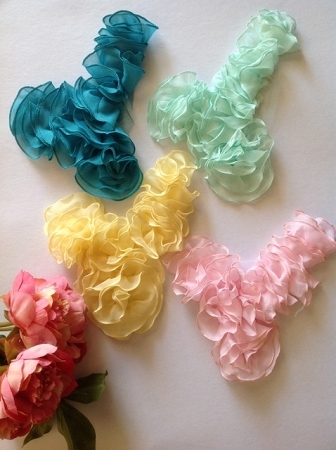 Made of soft chiffon fabric sewn into a sea of swirls & carefully edged to eliminate frayed hems. Measurements approx: 21cm x 23cm. This is the smaller of our two appliques in this style. Please see other listings for more colours and sizes.